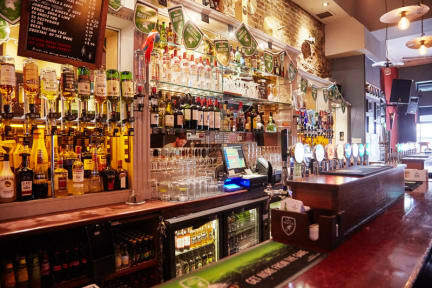 Bru Bar & Hostel i Cork, Irland : Boka nu! Overall this hostel was great. Perhaps a little old and rough around the edges, but everything was clean and functional. The bar downstairs resulted in an interesting clientele, but you get discounted drinks. The dorms were a little small so moving around when the room was full was tricky, but I was content with my stay. We enjoyed our stay at Bru Bar & Hostel in Cork. The condition of the place is good and the staff is friendly. However, note that the hostel is on top of bar that has live music sessions every night. Also, the rooms are very tiny. We rented a room for three people and two of us had do share a bed which not all people might be comfortable with.